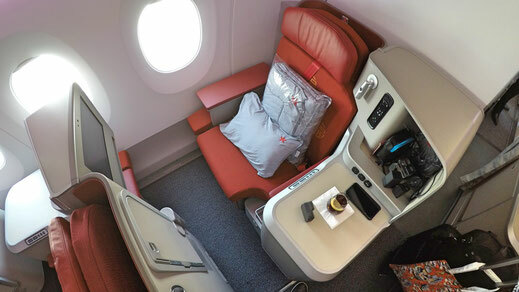 On December 18th Hong Kong Airlines introduced a new daily from Hong Kong to Los Angeles. Which was also the airlines very first flight to the United States. After Vancouver this is the second destination in North America. In March 2018 San Francisco will be added to the network as well as New York City by the end of the year. 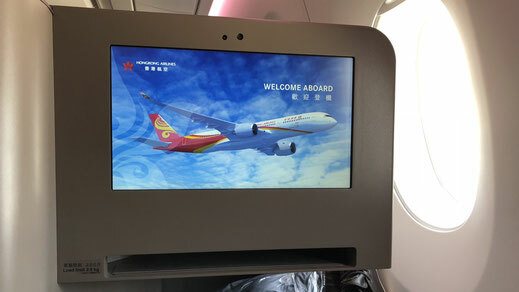 After flying Cathay's A350 I was very eager to give HK Airlines Airbus A350 a try. 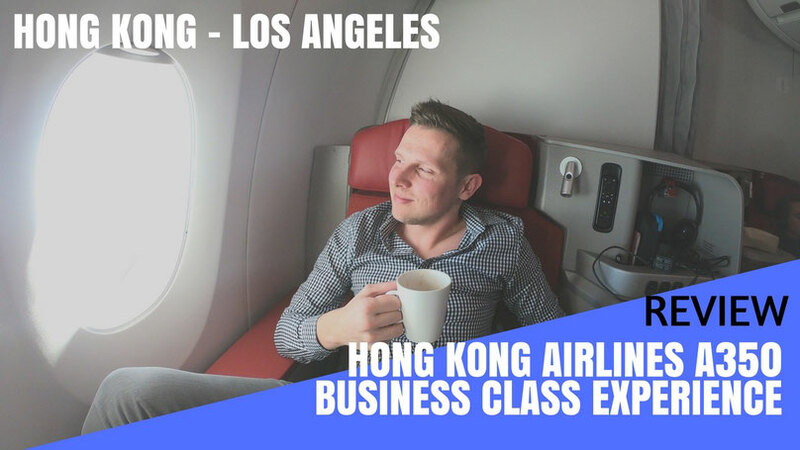 If you don't want to read the review (I know, too many words) you can just lean back and enjoy my video report which gives you a detailed inside of what it's like to travel on Hong Kong Airlines Business Class and experience their lounge. The airline offers a check-in counter especially dedicated to Premium passengers, even though it had the size of a bus-stop it didn't appear very busy, however the staff was extremely helpful and kind. 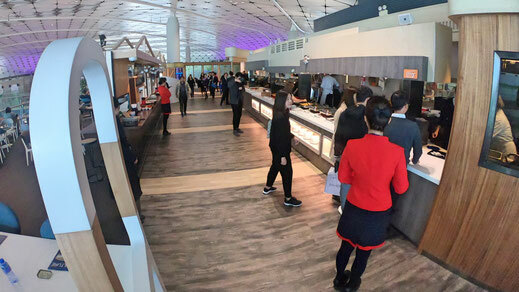 Hong Kong Airlines operates 2 lounges at the airport. The Autus Lounge is the one that just opened recently located of the midfield concourse. It's an absolutely quality lounge. The staff once again was very natural and kind, motivated throughout. 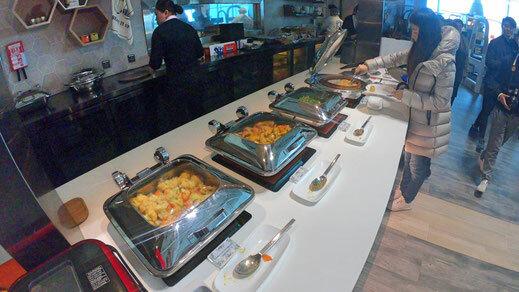 It features a little bar, a buffet with both, Western and Asian options. 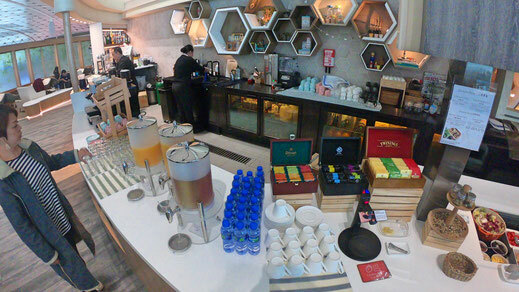 The lounges also offers shower facilities, heaps of seating and free WiFi. My favorite part is how bright the lounge was, daylight everywhere. 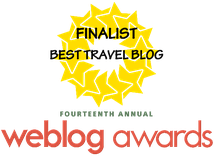 A real feel-good place! 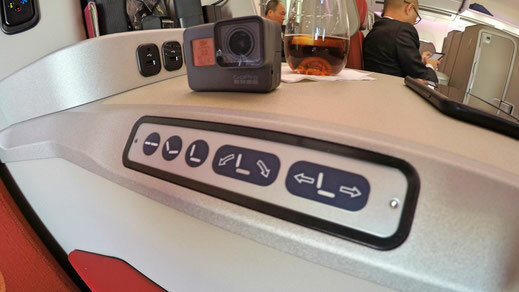 The seat on the A350 is an upgraded version of the older ones you can find on HK Airlines A330. The window seats are in a staggered configuration. You have seats closer to the window as the one I scored and others closer to the aisle, which are technically still window seats. They are a little less private then the ones that are directly located at the window. 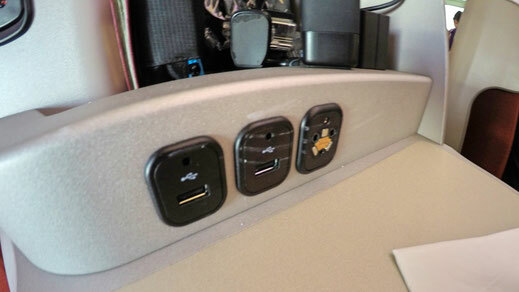 The seat features 2 USB-slots, a reading light, and plenty of storage space. You can turn the seat completely flat. 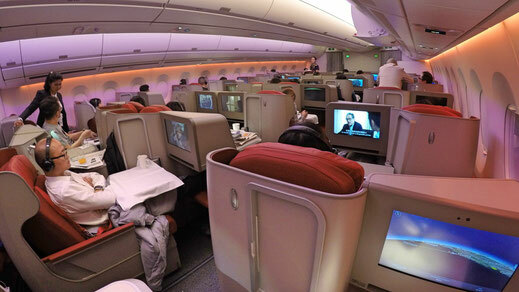 I find it very spacious and it was very comfortable to sleep on. The remote control to operate the entertaining system is located just next to the reading light. 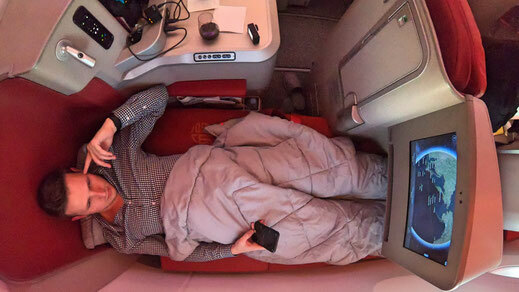 Noise-cancelling headphones as well as a very fluffy blanket are provided too. Also the foldable table can be moved during the meal service, giving you the chance to leave your seat if you wish to. Overall it's a great product and my favorite seat was definitely 20K. Find a Seat Map of Hong Kong Airlines A350 here. As mentioned above, noise-cancelling headphones as well a blanket including a pillow are already awaiting you at your seat. 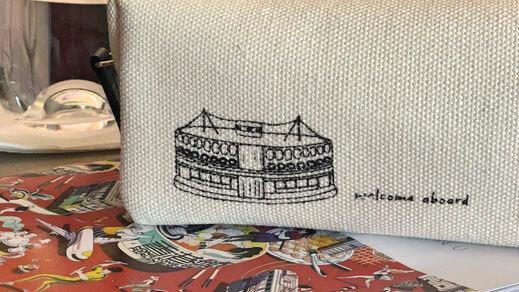 Additionally an amenity-kit is handed out. 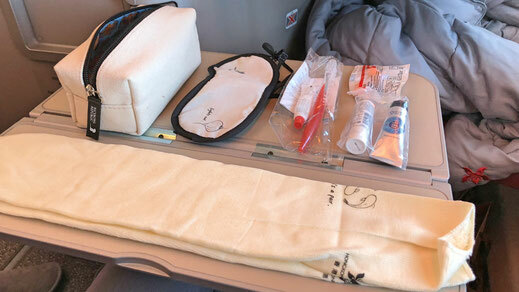 It includes an eye mask, ear plugs, lip balm and hand creme as well as a toothbrush and socks. 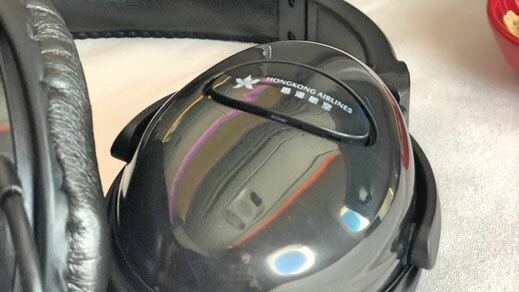 The headphones are rather average and the sound quality isn't particular overwhelming. 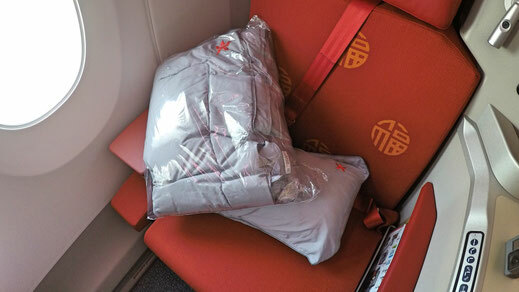 The blanket and the pillow are from great comfort and clean unlike Hainan Airlines Business Class blankets, which are not being changed on turn arounds, which basically means you get to share the blanket with some random stranger...shame on you Hainan Airlines! 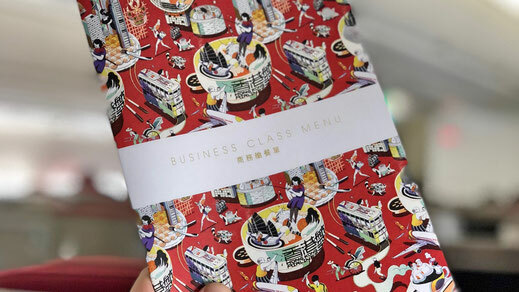 Beautiful menu's are distributed before take off and my order was taken a bit in a rush between boarding and take off. I could choose between the Mushroom risotto or the Spicy Beef Steak with Eggplant. I decided to go with the Asian option, which wasn't spicy at all. I tried the Cabernet Sauvignon from South Australia with it which was excellent. 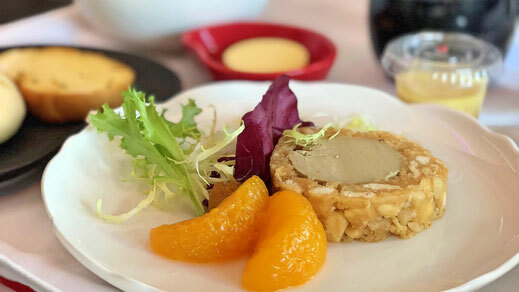 I also ordered a coffee which was served together with my wine before even the starter was served, which didn't make sense at all and I wasn't even asked. They just brought it. This also happened on my HK Airlines flight from PEK to HKG. 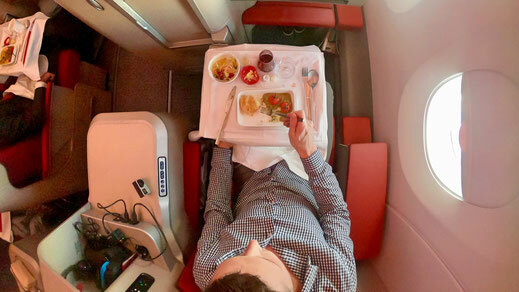 If you happen to sit in the rear end of the Business Class cabin be prepared that you get left out a lot. The bread basket never made it anywhere near me, I needed to ask twice for some bread. 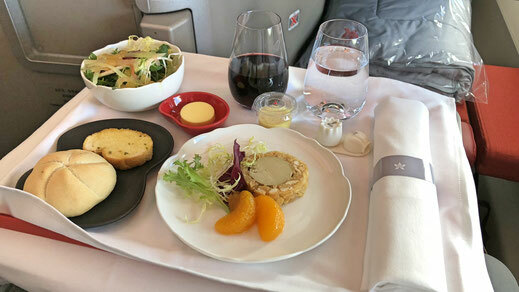 Even though the crew was extremely kind and helpful, I felt that there is no real strategy in how to operate the meal service. The food was good, nothing overly special, but I enjoyed it. 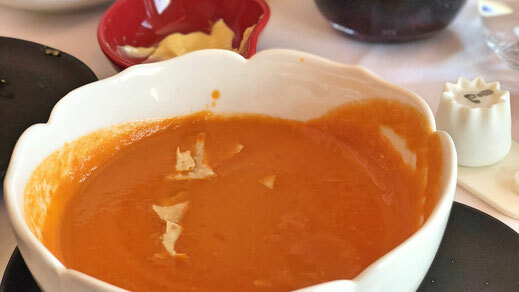 Especially the Tomato Soup stood out. 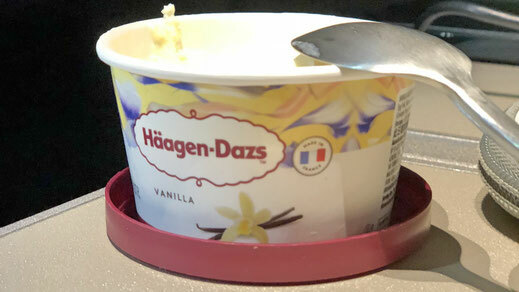 As a dessert I was served Haagen-Dasz Vanilla ice cream. 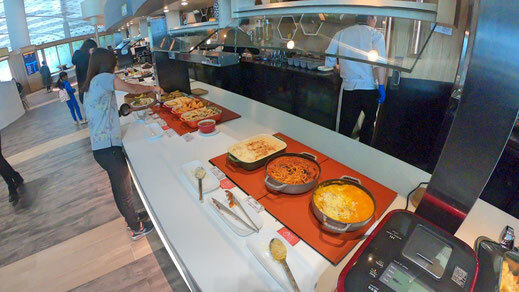 Overall the dinning experience was pretty good, considering that the meal service was fairly quick and efficient. 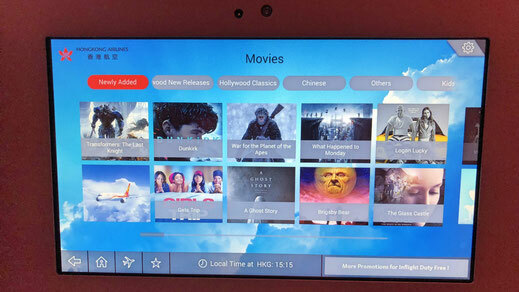 As a frequent flier, the Entertainment on HK Airlines is pretty lame. You just have a handful of movies and they were rather average. Literally one or two movies of each genre. I see a lot of room for improvement here. Also the internet was a joke, on both flights I wasn't even able to connect. They offer a 15 minute complimentary access from which I was able to use 31 seconds before it disconnected again. 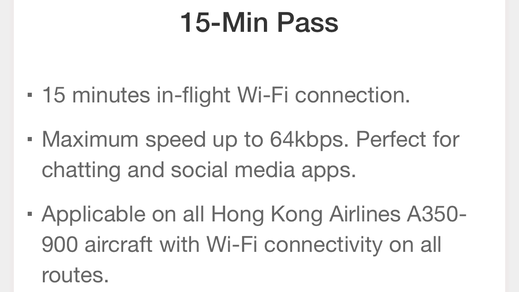 It was no comparison to Cathay's A350 which has the fastest internet of any airline I have flown with. I loved the game section though. Due to the responsiveness of the screen and the remote control I had a blast playing Angry Birds. On both flights I was extremely pleased by the crews attitude. They are always smiling and kind. It's a feel-good airline and you are gonna notice this from the moment you check-in. They are extremely hard-working but also a bit forgetful, I asked the purser twice for a sandwich mid-flight and it never arrived, that was bit of a let down and it does seem to happen a lot. I was also served my coffee together with my wine which didn't make much sense. They could have asked at least and it was weird because it happened on all 4 flights. However, the crew takes huge pride to work for Hong Kong Airlines. 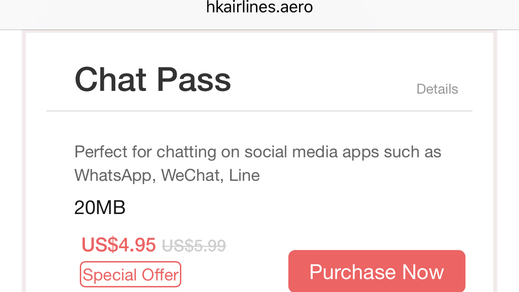 Hong Kong Airlines offers real competitive prices and that makes it so attractive. The hard product on the 350' is spot on as well as the Autus Lounge. The crew is extremely friendly even though a bit lost at times. However they try really hard which I did appreciate a lot. 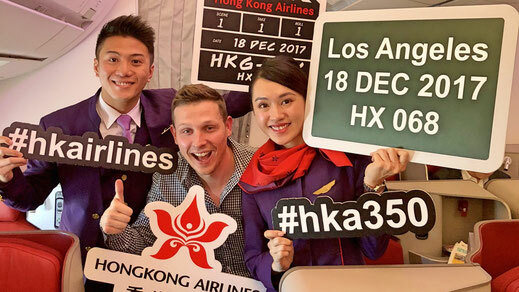 Unfortunately Hong Kong Airlines isn't part of any alliance, considering that American Airlines and Cathay Pacific are operating the same route. 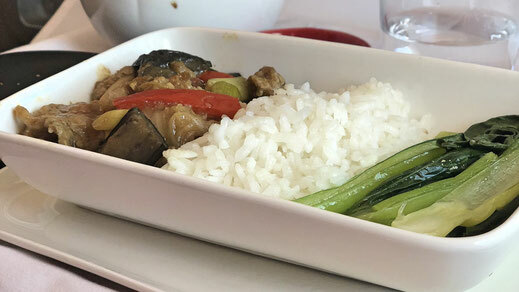 Overall I would fly HK Airlines without hesitation again. 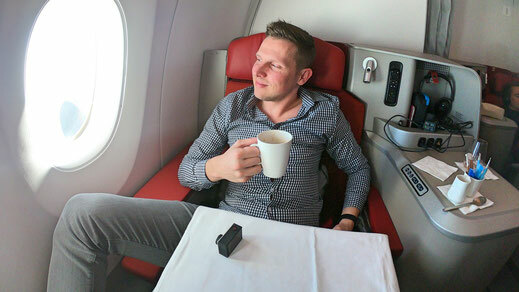 Once again I strongly recommend to watch my Video Review of Hong Kong Airlines.